Lil' Red Rocket: Winner Winner Chicken Dinner. Im so sorry. I forgot to announce this with all the excitement of the sale last night LOL. Ill organise to get your prize in the mail. YAY! Just before I go I want to say a BIG thank you for every one who joined in the give away and the sale and to all our wonderful followers and supporters. The success of last nights sale BLEW ME AWAY!!! Every thing is gone. Not a thing left and all sold out before Midnight WOW!!! THANK YOU so much! My calculator actually had a melt down it was so exhausted LOL. 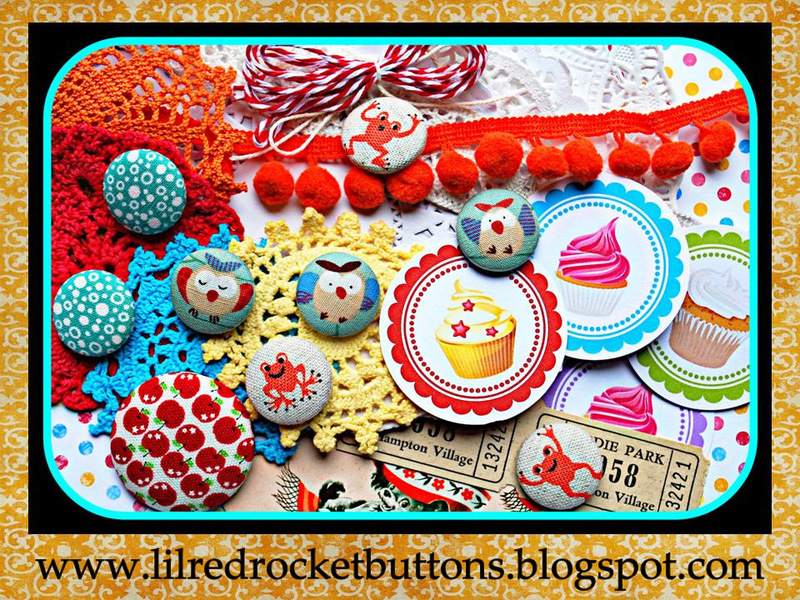 Im planning on another little sale toward the end of the month with items you havent seen from Lil Red Rocket before but, at this stage no buttons sorry. I will have another button sale in the coming months and the most popular ranges will again be on sale then. So if you missed out this sale theres always next time. Labels: April Sale., give away. Missed out :( :( Darn work!